The supplement category is vague because supplement companies don’t always list all ingredients in the formula or some ingredients may be listed with unfamiliar names. St. John’s Wort is one specific supplement that may affect how your birth control pill works. 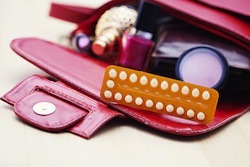 This is only a partial list – there may be other medications that interfere with birth control.